A dog is not "almost human,"
and I know of no greater insult to the canine race than to call it as such. 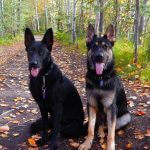 WE LOVE SHARING THE JOY THAT OWNING HEALTHY GERMAN SHEPHERD DOGS WITH CALM TEMPERAMENTS HAS BROUGHT TO OUR LIVES WITH OTHERS – THIS IS WHY WE BREED. We believe that there is a responsibility for breeders to make sure that pups from their kennels are well taken care of for their entire lives. We love our dogs and every puppy born here. In line with the ethics of breeding dogs free from genetic defects, we take the responsibility of making sure that every German Shepherd puppy that leaves our kennel goes to a home where they will thrive very seriously. The litters that we produce are an extension of our dogs and we feel a great responsibility to ensure their well-being to the best of our abilities. If you just want to buy a dog, you’re in the wrong place. 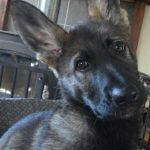 If you are thinking about getting a German Shepherd puppy to love and have thought through adding an additional family member, we’d love to talk more about our German Shepherd puppies. We are easy to talk to. Some people feel like breeders are snobby – we aren’t. 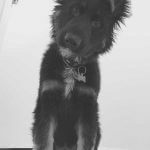 Our desire is to get to know people and determine early in the process whether a Far North German Shepherd puppy will be a good fit for them. 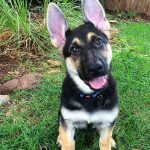 Our German Shepherd puppies have an instinctual desire to bond with their family. Their intense loyalty to their owners is no joke. We offer lifetime support for as long as you have your puppy. 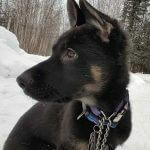 We are constantly emailing, texting, talking on the phone or meeting up with families that have one of our puppies. We are committed to each puppy and your family for life. 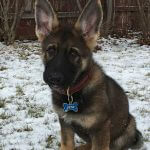 Owners of our puppies will always be able to call us without hesitation. It is our goal that you have an amazing relationship with your new puppy. Because we have such care for our dogs, we will pay to ship a dog back to us that is not working out in his current home. It is our nightmare to imagine one of our pups ending up in a shelter and we will go to any length available to prevent it. This is part of the promise you make to us. We understand that life happens and disastrous events can happen to anyone. If, for whatever reason, for the life of your dog, he/she is going to live with someone other than you or you are no longer able to care of him/her, you must let us know. This is part of the agreement we will sign with you before you buy one of our puppies and is very important to us. 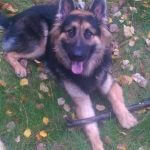 We won’t ask any questions or judge you, we will simply pay whatever it costs for the dog to come back to our kennel. While it is always our goal for our dogs to go to one home and never leave, we do understand that sometimes unexpected, serious matters come up in life, so we offer that guarantee. We will never re-sell a dog in these circumstances. 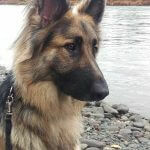 All of our puppies come with limited AKC registration. Our pups come on a spay/neuter contract and we send the registration paperwork after you have spayed or neutered your dog. We want you to do this in a healthy manner, so please talk with your vet about the best time for you to do this with your individual dog. Our standard in our health guarantee is that females are not spayed before 6 months and males are not neutered before 1 year. From time to time, we have individual owners that have their own perspective on this backed up with scientific analysis. We are definitely not the end all be all on veterinary medicine (we’re nowhere close), so these situations are a conversation on a case by case basis. 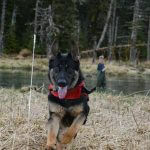 All of our breeding males and females have their hips screened through the OFA or similar organization in the dog’s country of origin and are registered with the AKC or with the corresponding FCI registry for the country in which they were born (e.g. the SV in Germany). We test our dogs for DM. As breeders, we will always be at the forefront of ethical breeding. We will never, ever put making money or breeding more puppies before the health and happiness of our current dogs. We hope you enjoy our website and contact us if you ever have any questions. 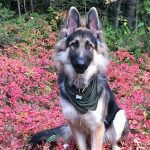 We are proud of our German Shepherds and truly love them. 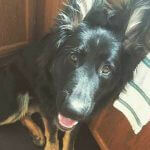 Both our standard coat and our long haired German Shepherd puppies are absolutely stunning dogs that we are very proud of. 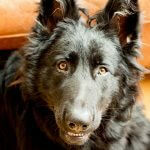 If you go to any of our dog’s individual pages, you can learn more about them there.